FLINT, MI – A group of concerned community members have created a charitable fund so that people nationwide can contribute to support both short and long term needs of Flint’s children exposed to lead. The Fund, established at the Community Foundation of Greater Flint, is a supplemental resource to the ongoing pursuit of additional state and federal funding. Give online to the Flint Child Health & Development Fund at www.flintkids.com. The Greater Flint Health Coalition and Commit to Fit! 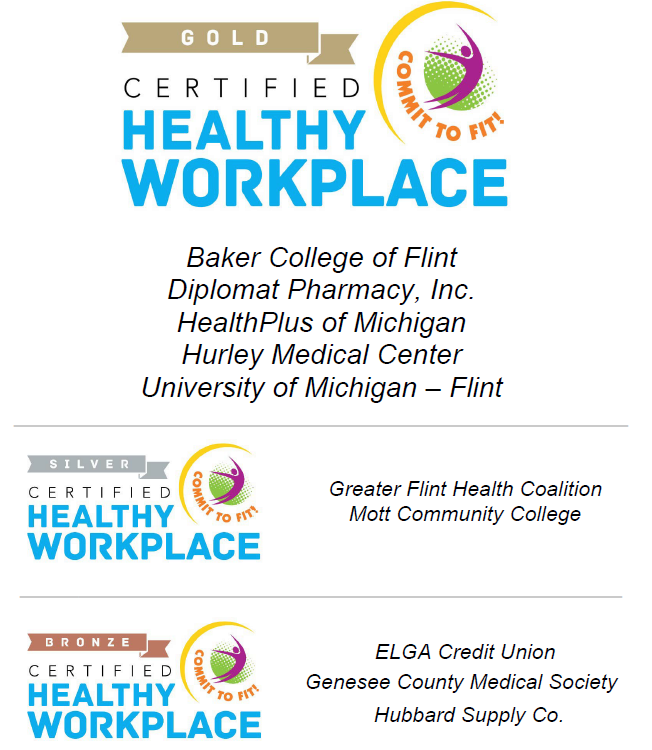 are pleased to announce that seven Genesee County businesses have qualified for the Commit to Fit! Certified Healthy Workplace Designation. This certification aims to acknowledge local businesses actively working to improve the health of their employees by providing workplace wellness programming and a healthy business environment.